We Give You Wings To Fly. Along with the cultural performances, exhibits, art fairs, food markets, and interactive demonstrations in 27 museums and heritage sites all over Cebu, Mandaue, Talisay and Lapu-Lapu,IAU Astronomical Society also took part in bringing out Cebu’s identity during the 11th year of Gabii sa Kabilin or GSK 2017 last May 26. 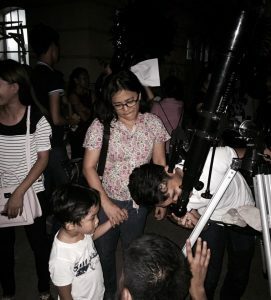 The IAU Astronomical Society, in partnership with the USC Physics and Astronomy Society and Youth Livable Cebu (YLC), had a ballistic debut of #LOOKUP at the Cebu City Public Library. The “pop-up” telescope program, #LOOKUP, is envisioned to promote the appreciation of astronomical education and atmospheric health. The collaborative effort to discover what lies beyond Earth brought about a hundred of interested guests to look up the visible stars and the two gas giants in our solar system, Jupiter and Saturn. 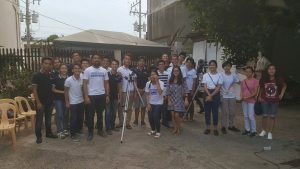 The program was aided with a Power Seeker 70EQtelescope, a Power Seeker 114EQtelescope, and a CelestronCometron 7×50 and 12×70 binoculars. It was headed byone of the convenors, Edjie Galeos, IAU-AS Adviser and Val Kirk Sam Lumpay, IAU-AS President together with the support of the Society of Young Aerospace Engineers (SYAE) of IAU. 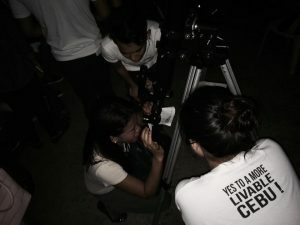 The IAU young amateur astronomers also joined in facilitating the indoor fun arts & crafts activities as the public visitedthe annual cultural activity, also known as the Night of Heritage, which happens every last Friday of May in time for the Philippine National Heritage Month and International Museum Day.